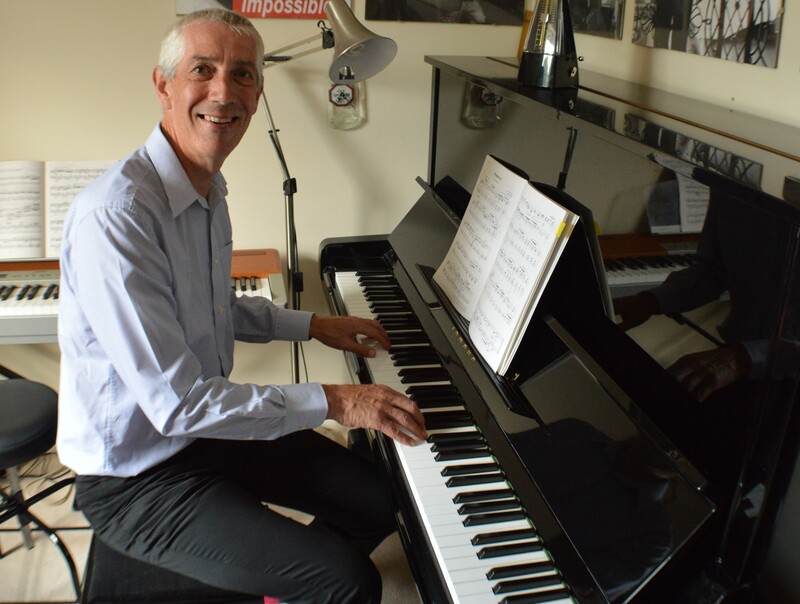 Mindful Piano, is an established piano studio based in Ely and run by myself, Brian Partridge, AMEPTA. I am passionate about music having played both Piano and Tuba since my early years and music has been my lifetime hobby (although I nearly joined the RAF as a bandsman when I was 18). I am now semi retired and wish to share my passion through teaching piano. First and foremost I consider myself to be a musician. The tuba was my main instrument when I was younger. I played in a number of brass bands, a jazz band, a German Oompah Band and in the Hampshire County Youth Orchestra. I have played at the Albert Hall, in Sydney Opera House with the youth orchestra, Colston Hall in Bristol as well as events such as the Cologne Carnival. I still play as a freelance tuba player with local brass bands, assist in concerts with the Newmarket Town Band & Littleport Brass and also play with the Ely Sinfonia and the Sampson Orchestra of Cambridge. I obtained Grade 8 with the distinction on the tuba and, I am still not sure why, turned down an offer of an interview at the Royal Academy of Music. I have also played piano and organ since my early years. I obtained Grade 7 on the piano in November 2015 and play at Grade 8 level. I am still learning but see this as a great attribute as I can understand problems faced by students and can offer practical solutions. At the moment I only teach beginner and intermediate level pianists but can refer more advanced pianists to other local teachers. I have been taught by Ilga Pitkevica, the UK Regional Organiser for Cambridge and a Committee Member of the European Piano Teachers Association (EPTA) whose purpose is to raise the standard of piano teaching, piano performance and general musicianship in the UK. I am an associate member of EPTA and benefit from opportunities for professional development, their public liability insurance and I also am bound by and comply with their code of conduct and guidelines. The Curious Piano Teachers – this is a community is for piano teachers, who want to improve their teaching skills and achieve their full potential. The aim is to help teachers develop through monthly bundles of online teaching resources: videos, workbooks, webinars and a forum. Piano Street – this site which offers support and resources for classical pianists, piano teachers, students and piano music enthusiasts. The aim of the site is to provide material and services of highest quality within the subject of classical piano music and to facilitate and inspire communication between people from all over the world sharing the same interest or profession. The content of the website consists mainly of downloadable sheet music (PS Urtext editions as well as scanned public domain editions), recordings of the most common classical piano pieces, information about composers and pieces, a discussion forum and the blog containing piano related news and articles. It is my intention to develop my own playing and teaching further and I am looking at various options to do this. I also play from time to time in the Cambridge Piano meet up group, which meets once a month, now in the West Road Concert Hall, Cambridge. My youngest son Alex, is 6 and had learnt piano through the Suzuki approach with Jenny Macmillan. I also had lessons with Jenny (and my wife Lorraine has had lessons too) to learn the different techniques used in this approach which are very beneficial to anyone learning piano. Prior to my semi retirement, I have been a qualified solicitor, a Director of two Local Authorities and have run my own consultancy business. My non music qualifications are a Bachelor of Laws, a Masters in Business Administration and a Diploma in Management Consultancy. Other hobbies of mine include running (I competed the Race to the King in 2016 – a double marathon over two days along the South Downs Way), cycling (I completed John O’Groats to Lands End in 9 days in 2010), kayaking (Snettisham to Skegness and back over 2 days) as well as listening to music, reading and most racket sports.